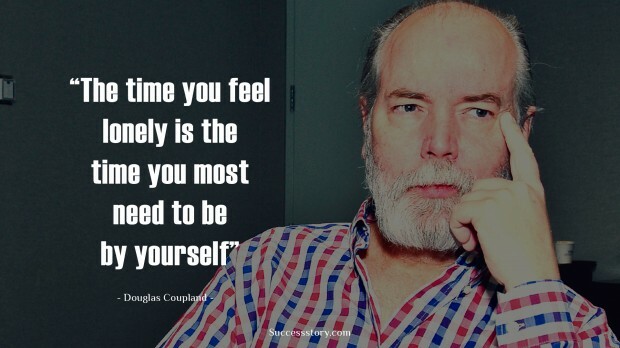 Douglas Coupland is a Canadian artist and novelist. The first novel written by Douglas was written in the year 1991 and was called Generation X: Tales for an Accelerated Culture. Some of his other notable works include JPod and Microserfs. In total Douglas has published seven non-fiction books, thirteen novels, two collections of short stories, and numerous screenplays for film and television. Douglas recently updated a biography called Extraordinary Canadians: Marshall McLuhan for Penguin Canada. Douglas is popular for his intelligent and humorous quotes. "The time you feel lonely is the time you most need to be by yourself."